At Smokey's 420 we are committed to our people, our community, and the idea of a safer future with cannabis. Located in both Garden City and Fort Collins, Colorado, we pride ourselves in our customer service, product offerings, and welcoming locations. Using our wide network of connections, we source the best naturally grown product that we can from all over the state to bring you the best genetics and testing that we can find. We do our best to exclusively source naturally grown product that lines up with our own cultivation philosophy that natural is better. In our own garden we use organic inputs and natural growing techniques to bring you flowers grown without all of the synthetic nutrients or pesticides that are commonly found in today's legal market. We hold ourselves to this standard because we believe that natural cannabis just makes sense. Most recently (2018) we have gone back to the drawing board and reworked all of our concentrate and flower pricing in the store! 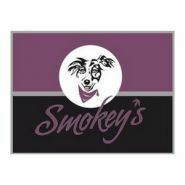 Call the store for the most up to date information on all that Smokey's has to offer!